This lil pug is strutting around in some borrowed feathers, not realizing that the peacocks not only see through her act, but also think she's a weirdo. 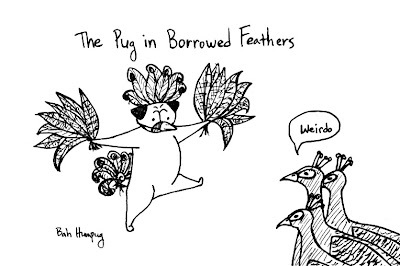 Moral: Borrowed fine feathers do not make pugs into fine birds (duh). 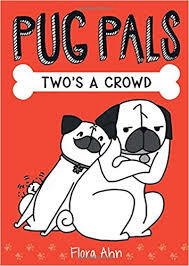 However, borrowed feathers can make a pug look like a showgirl! 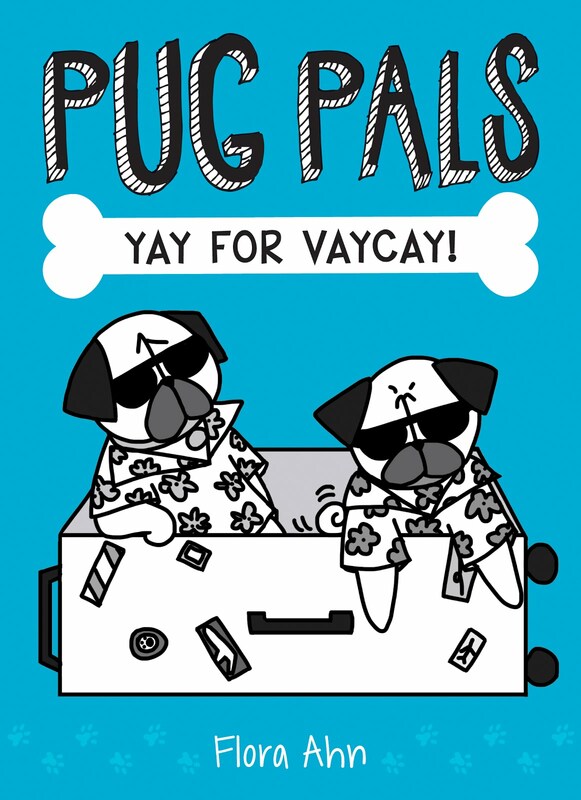 Yes, this pug definitely is looking like a showgirl!